The world of online video advertising seems to be in a constant state of expansion. For people who still feel unsure or uncertain about the kind of video content that they need to create a positive impression with their audience, it’s worth noting that there are several different video advertising solutions available out there – from in-page video advertisements that appear during a blog-post, to linear video ads and more. Following, we’ll cover some of the most common types of video advertising you have to choose from, so that you can make a more informed decision the next time you upgrade your marketing efforts. Out-stream ads are videos that aren’t accompanied by any other content. While roll and interactive content requires something to wrap around – such as a different video or a blog post – an out-stream ad doesn’t need to be tied to anything else. Instead of using a video player, these ad impressions can run using standard ad placements on corners of pages or within a written article. They’re easy to view, and they don’t interrupt other video content. 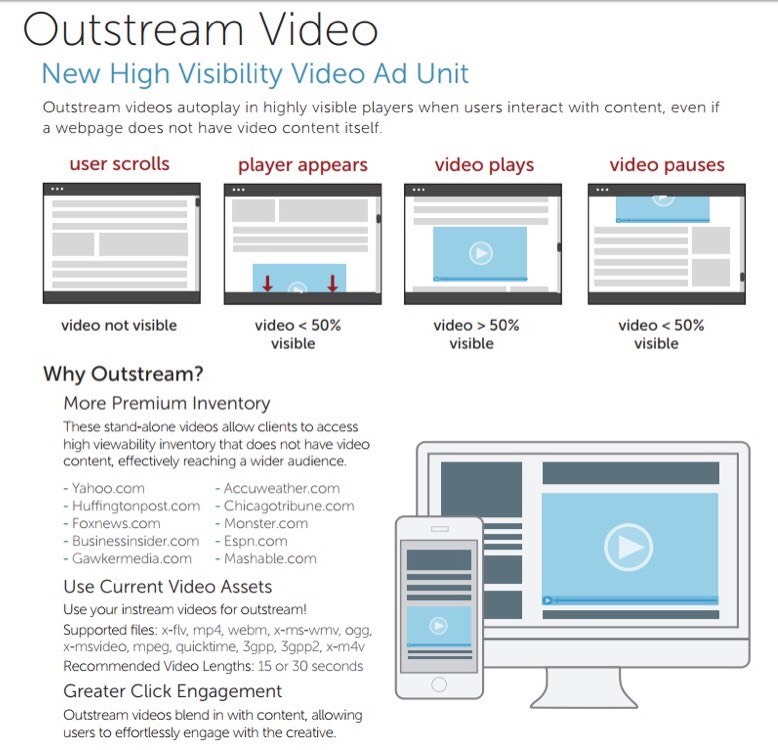 Download for additional information regarding out-stream video ads.